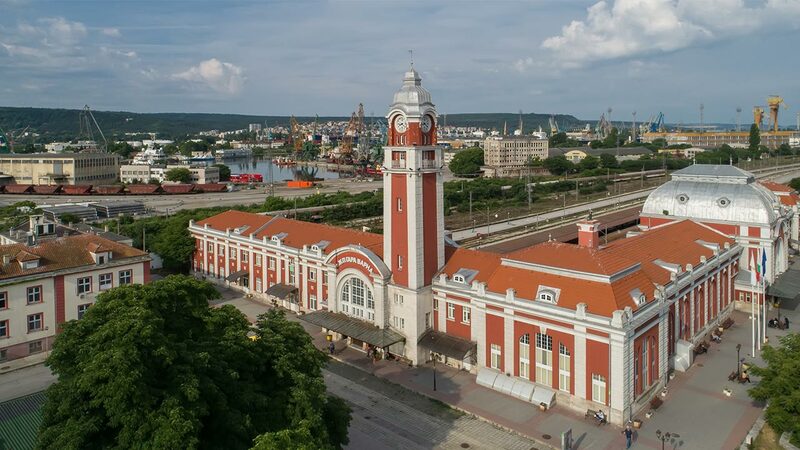 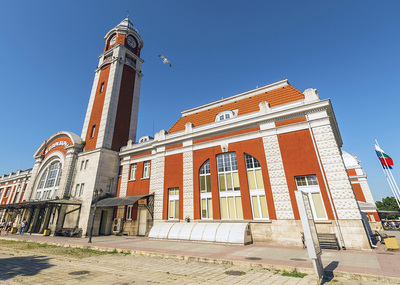 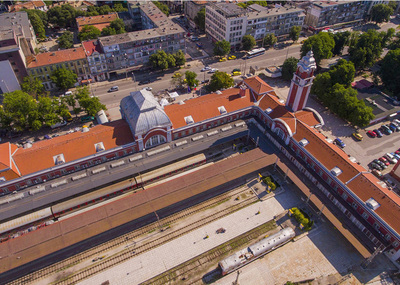 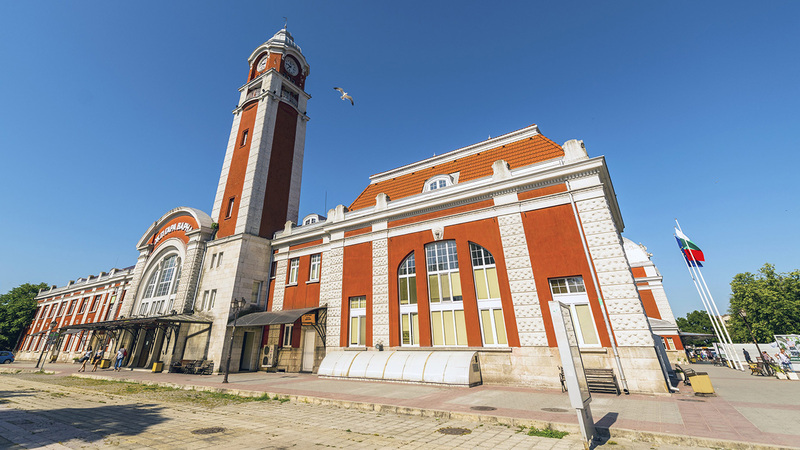 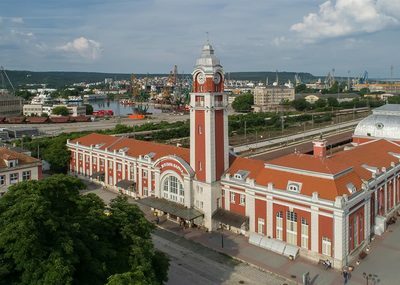 The Central Railway Station in Varna is one of the oldest in Bulgaria. 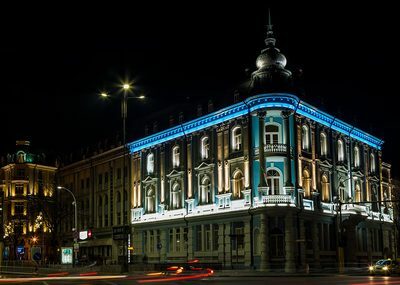 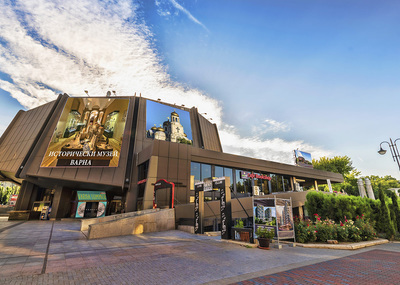 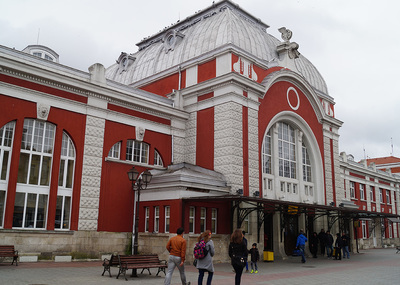 Its present building was constructed between 1908 and 1925 when it was officially opened by Tsar Boris III. 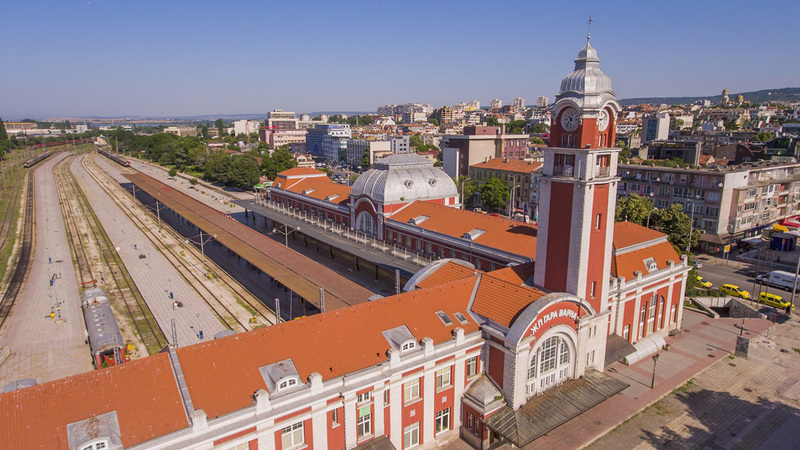 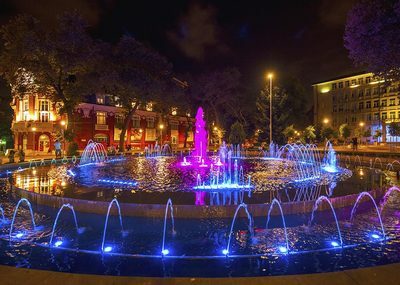 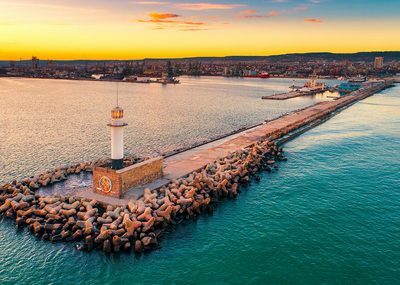 Actually, Varna has had a railway station since the 26th of October 1866, when the Varna-Rousse railway line was inaugurated. 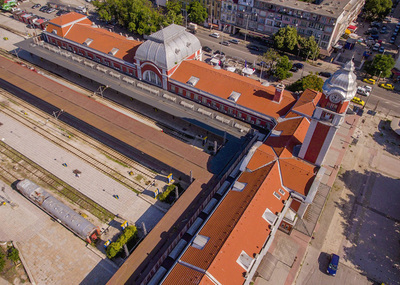 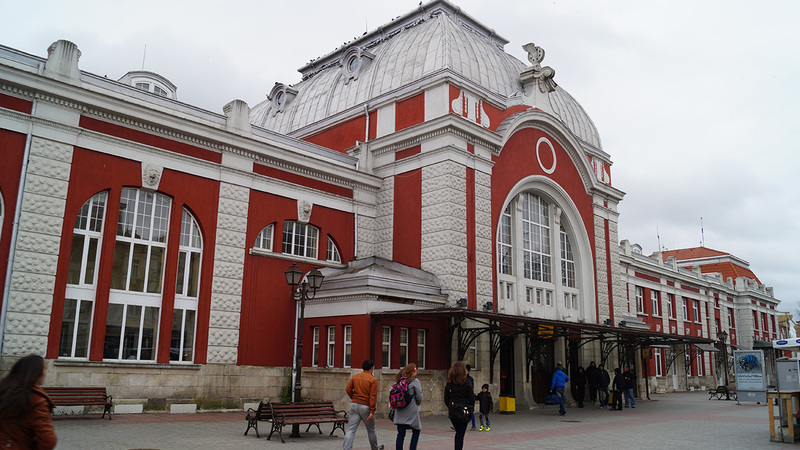 The station building was built in several stages under the supervision of architects Nikola Kostov and Kiro Marichkov and was designed in the Art Nouveau style with elements of Neo-Baroque. 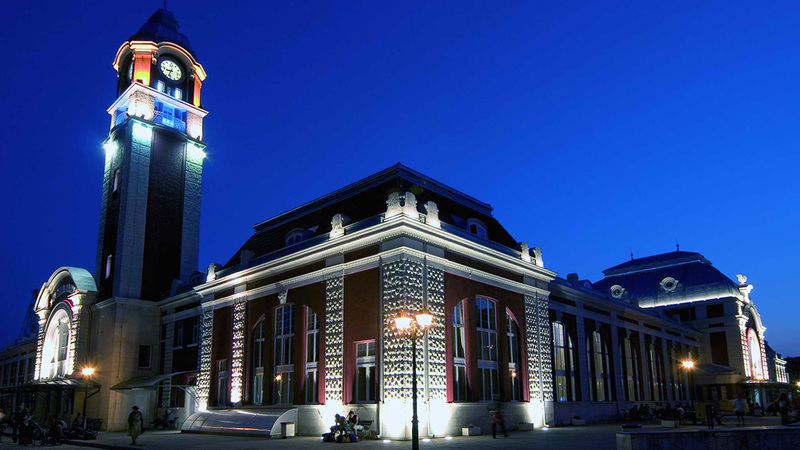 Italian architects participated in the design of the interior and the exterior ornaments. 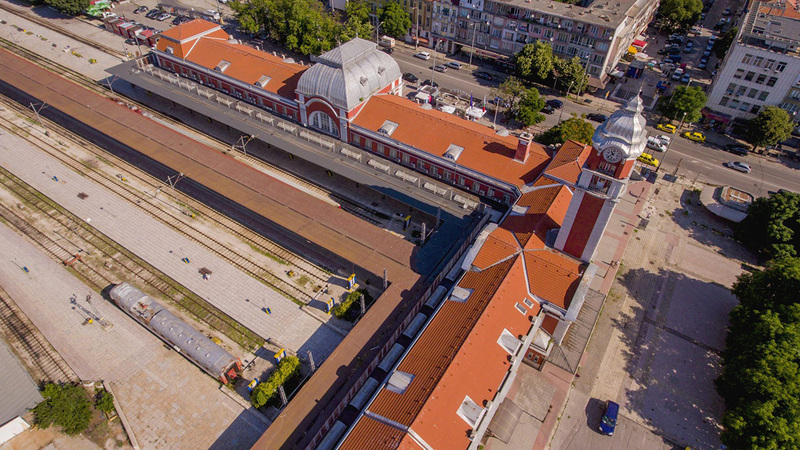 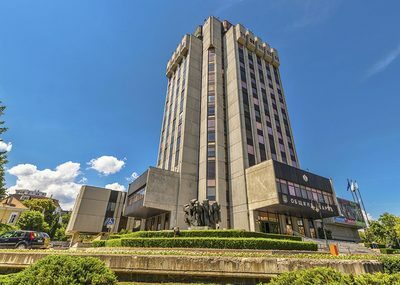 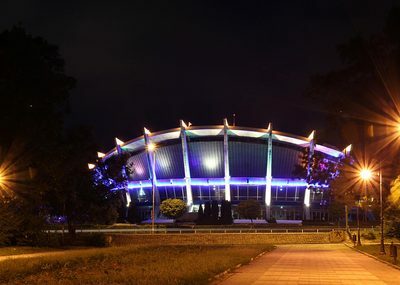 Burgas Central Railway Station used virtually the same architectural design. 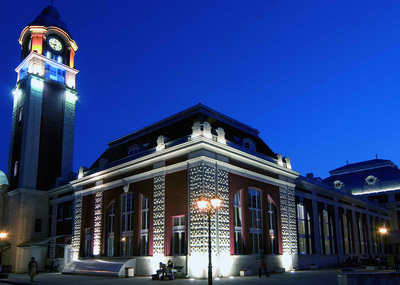 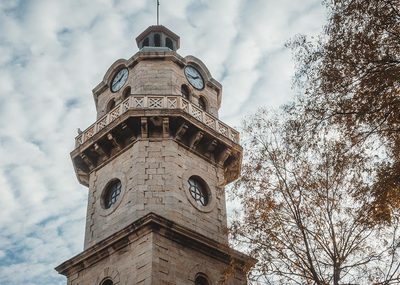 A clockwork specially brought from Germany was installed in the station's clock tower in 1929. 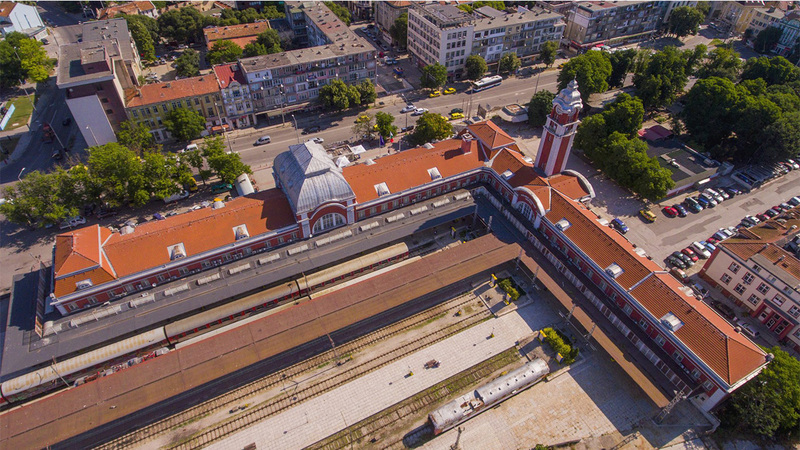 The railway station in Varna was one of the stations where the Orient Express used to stop between 1883 and 1885. 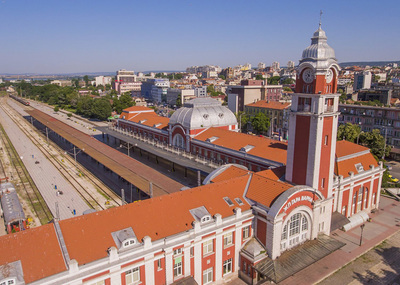 Today, it is a key railway junction with three lines to Sofia and separate lines to Karnobat, Rousse, Plovdiv, Pleven, Shumen, Dobrich, etc.